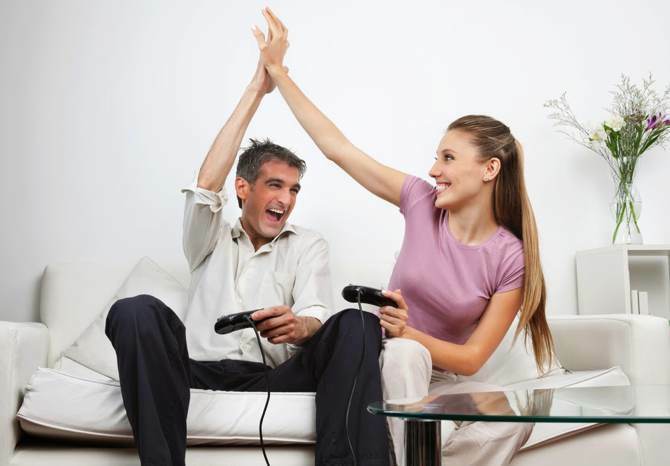 Teamwork, time together, communication: these are just a few things gaming with your significant other can bring to your relationship. Just ask these real-life gamer couples who weigh-in on whether or not gaming has a positive effect on their relationships. Jessica and Josh Sands have been together for almost five and a half years, and video games have been a part of the couple’s relationship from the beginning. They both play games individually, but the game they keep returning to together is Minecraft. “One of our friends got us into it, and we shared an account for a while, and a couple years ago I got one. We’ve been playing together ever since,” said Jessica. Ben and Mallory haven’t always been gaming together. Though they’ve been married for three and a half years, they’ve only been gaming together for about six months. Ben has been gaming for most of his life, and has tried for years to get Mallory into gaming with no luck, but it turned out that Mallory just needed to find the right game. “It’s something that I’ve wanted for a while, but it just took a little bit of convincing,” said Ben. “It was really about finding the right game, and Diablo did that,” said Ben. “It was when it clicked for Ben that I really love fantasy, and then he suggested Diablo,” said Mallory. Now that she knows what she likes, Mallory has been widening her gaming experience including games like Portal 2, Ibb & Obb, LittleBigPlanet, and Katamari. “I like that it’s something we do together. I like working as a team,” said Mallory. “It’s like going on an adventure together,” said Ben. Stephanie and Tom have been together for almost ten years, and they’ve been married for four years. They’ve each been playing video games since they were small children, so it was obvious that video games would be a part of their life together. “We have just always played. It’s a way to spend time together,” said Tom. The couple plays a bit of everything together, including Hyrule Warriors, Dragon Age, Mass Effect, Super Smash Brothers, Team Fortress, and more, though they generally prefer RPGs and games from the Mario franchise. They play co-operatively, competitively, and sometimes help each other out in single-player games. “One of us plays while the other spots for snipers,” said Tom, or they take turns and switch when the current player dies. Gaming is also a great way to relieve stress. “Even if we do play competitive games, it’s a good stress reliever,” said Tom. The couple gives advice to other couples who are interested in getting into gaming together: “Start with a game based on a movie or a book you like and that both of you like, like Lego Harry Potter, and also try to find ones that’s two-player to start,” said Stephanie. 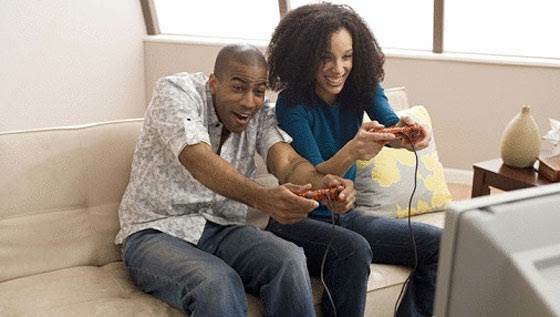 Do you play video games with your significant other? How does it impact your relationship? My husband and I have been gaming together since we have been together. Today we play a whole host of games, but always come back to Warframe as our daily medicine to sand off the rough edges of our weekdays. With the advent of MK X coming out in a few days we cannot wait to move the PC back to the living room TV, hook up to controllers and go at it for hours on end. It is quite funny actually because Andy and I both love our retros and indies and if anything gaming together has made us closer than ever. My boyfriend and I have been gaming together since we began dating. He introduced me to different video games and I fell in love with Xbox360’s Fallout 3 and Skyrim. It got me into Warframe and ARK:Survival Evolved. We play together on the weekends. I literally pack my console in a suitcase just to play next to him.